The cost of developing and maintaining an IT department may cause some business owners to undermine the necessity of making such an investment. You need to understand that IT is part of the vital support services of your firm and accessing the same is not an option. It is a relief for most business owners when they discover that maintaining an in-house IT department is not mandatory thanks to the outsourcing option. Here are a few reasons why outsourcing IT services can be the turning point that shifts your business in the right direction. The idea of inviting someone from without to offer particular services without proper communication is not welcome among staff working in most companies because it creates a sense of insecurity. As you outsource IT services the understanding among your employees should be that you are delegating non-core functions to an external vendor so that staff can focus on the core activities of your firm. When your employees discover that you are prioritizing their responsibilities over the IT services you choose to outsource, their morale and output will be on the rise. When you opt to outsource IT services for your firm, the bottom line is that you will reduce cost and in most cases, this is a priority for anyone seeking such services. 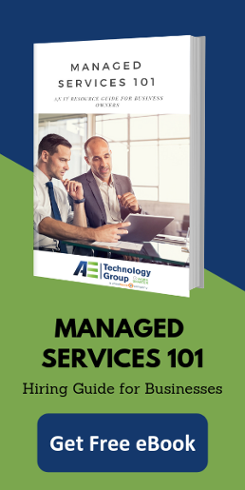 Some of the expenses you will avoid by opting for an IT services vendor include the cost of hardware, maintaining professionals, establishing a data center, and training your staff. Providers of IT services buy internet in bulk, which implies that they can pass the savings they realize to their customers, and that will reduce your expenditures as well. Internet infrastructures are prone to malware, and if you do not know how to protect your IT installations from attackers, your company may suffer severe losses. Outsourcing IT services reduces the risk of internet scams because the vendor provides and updates the necessary defenses to protect your data. IT service providers can also promote flexibility by scaling the IT requirements of your company up or down, which makes outsourcing a noble idea. If you need more information on reasons for outsourcing IT services, contact us today!